Previous Post Book Review: Fiction Express part 2. Next Post Fiction Express Mondays. That’s some great icing did you do it? My mom did the icing and a friend of hers made the flowers. I’m nowhere near that artistic, I’m just good at the eating part. Isn’t it just, my mom did the icing and her friend made the flowers. Thanks. 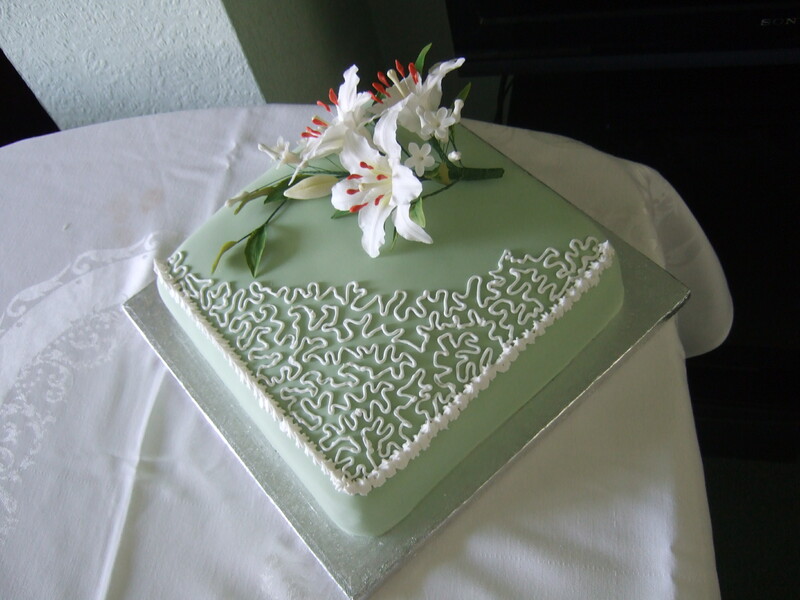 It is beautiful – almost a shame to cut into it to eat it! Gorgeous looking cake, not sure i could cut into it! I can understand that, we did eventually bite the bullet and cut it. What a lovely cake. Very well decorated. What was it for? My parents’ 30th wedding anniversary.